Several poet friends of mine told me that a publisher suggested that they make some changes in the wording of their poems before sending them off to the MCIG. Any words or sections that—according to the advisor of this publishing house—crossed ‘red lines’ or broke taboos were replaced with more neutral words. This transformation of the publisher into a tool of censorship is very painful. Iran’s editorial sector is very weak. Publishers tend to either accept books, or reject them outright. They don’t edit them at all. When a book goes unedited, it’s like the author is the sovereign. In Europe, editors have the power. In Iran, writers do. Also, writers often don’t listen to their editors—there are often bad vibes between them. As a result, there’s no content editing in Iran. Editors are only there to correct punctuation. No-one is there to help writers to improve their stories, and even if there was, no-one is willing to listen. The censors gave you a list of paragraphs or chapters to remove. [Under Ahmadinejad] you were not asked to explain them, and you couldn’t deny that there was anything wrong with them. They were like bullies: they had the power, and forced you to accept it. As a female poet, if I use the word “body” in my poems, usually it gets censored. This is because the regime believes that it’s indecent for a woman to speak about her body, or her beloved’s body, or the body in general. But in the case of male poets, this kind of redaction is less common. Basically, both society and the state are patriarchal and sexist, and any woman who wants to use the language of the female body and spirit in her works has no space in this society. A female author in such a society should only write under the lines of male language and patriarchal thought, otherwise she’ll be repressed and censored. A male writer’s characters can be bold and daring, they can fall in love, smoke, swear and cheat. But if a woman writer mentions one of those things, it means outright rejection. It’s a catastrophe. This is a point where we and censors have a difference of opinion. 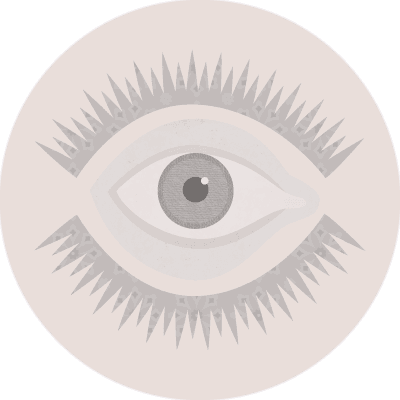 [Writers believe] that even from the most unethical adventures, you can craft the greatest ethical lessons. Where on Earth can you find spouses that don’t think about cheating? If anyone says they exist, I say they’re lying. It’s all of these internal struggles and challenges that give real meaning and value to people’s commitments. In Tabriz I was made to wander from pillar to post. They insulted me because I was a woman. There were times that [officials] said to me: “Why do you do it? [Your job] isn’t a woman’s job. A woman should be at home serving her husband.” They wanted to break me and wear me down. We were a dim ray of hope for Turkish writers in Zanjan province. We prepared books [for publication] with hardly any resources, and released a couple of Turkish poetry collections. At the same time, the newspaper ‘Iran’ published an offensive cartoon about Turks, leading to massive protests in Tehran and Turkish-speaking, with Zanjan amongst them. From that day on, our life became a living hell. My office was invaded constantly for inspections, although all the while I was publishing books in line with the MCIG’s guidelines. A Turkish-language book will take significantly longer to be processed by the MCIG than a Persian-language book. The written style of books is affected. Turkish words must be written with Persian pronunciation. Authors are forced to avoid naming Azerbaijani national heroes, or praising their actions. The MCIG doesn’t purchase Turkish books unless they are strictly in line with the regime’s policies. The government creates political problems and fraudulent documents that hinder and exhaust Turkish-language publishers. Publishing licenses are rarely granted to Azeri applicants. There are a few Turkish-language publishers but they can’t solely publish Turkish books—they need to publish a majority of Persian books to stay in business. Turkish publishers receive irrelevant warnings and court orders from the intelligence services and other state authorities, and are monitored and harassed by intelligence services at major book fairs. Turkish-language publishers are prevented from participating in book fairs in Turkish-majority cities like Ardabil and Urmia. As a result, there is no real market for Turkish books, and no unions have been set up for them. Azerbaijani publishers always suffer from unspoken financial problems. This browser cannot show HTML5 video. Throughout our history, we Iranians have seen our culture attacked by one invading or despotic regime after another. From Alexander to Lame Timur to Hezbollah, they burn our books, destroy our libraries, censor our language, and rewrite our history. But we see another pattern as well. After each defeat, our culture regathers its strength and revives its creativity, like a phoenix arising from the ashes. element below to navigate this website. Censorship is more than just the ravaging flame—it is the cold wind that follows in its wake, the deep frost that settles over the ashes. The censorship that is felt but not seen. The 1979 Iranian Revolution toppled Shah Mohammad Reza Pahlavi, whose regime had viciously targeted dissident authors. But the reactionary clerics who forced their way into power in the revolution’s aftermath have been no better. They wrote a new rule book, and their hazy, ever-shifting ‘red lines’ have paralysed Iranian writers and created an atmosphere of fear, apathy and hopelessness. Progress through this story using the button on the right. Click on the golden flower icons in this section to read testimonials from writers and publishers. with Payam Feili about this. This story begins with a... story. You’ve just finished writing a novel. This is your freshly-penned manuscript. 350 pages long. Two and a half years in the making. A modern classic (even if you do say so yourself). Let's find a publisher, shall we? Surely they'll be knocking down the door to snap up a book this groundbreaking! Here’s one. But they’re not interested. Your book is a little too risqué - they don’t want to pour their money into it as they’re not sure it’ll get past the censors at the Ministry of Culture and Islamic Guidance MCIG. So, we find another publisher. This one is a bit more daring. They're willing to spend out on editing, proofing, typesetting and designing the book — expensive processes that need to be completed before you can take the next step towards publication. Before sending your manuscript off to the censors at the Ministry of Culture and Islamic Guidance (MCIG)—the people who have the final say as to whether or not your book will be published—you'll need to fill out some forms. They help the censors decide whether your book is worthy of their scrutiny, or should just be rejected outright. Time to send off a printed manuscript, a .pdf copy of the book, and all the completed forms. Fingers crossed! ...It was worth the wait! Your book hasn't been rejected outright. But the MCIG has helpfully suggested a few 'corrections' to comply with their publishing rules. Once you've removed pages 212-272, changed 'wine' to 'water', and re-written that philandering drunk as a devoted husband, then they'll be positively ecstatic to grant your book a license. Simple, right? Best make those changes quickly, and re-submit it. ...It could be another long wait. You made it! Everything gets sent back to your publisher, and they can warm up the printing presses. Congratulations! It's been a long time coming. Several thousand copies of your book are sent off to distributors. And a single copy is sent off to sit on the shelves of the National Library, to join the hundreds of thousands of titles already there. Iran’s National Library database is big. 881,729 titles to be exact. As far as we can tell, no-one’s ever really taken a proper look at all this data before. So rather than letting it gather dust on the shelves, Small Media has hoovered it all up and combed through it in forensic detail. 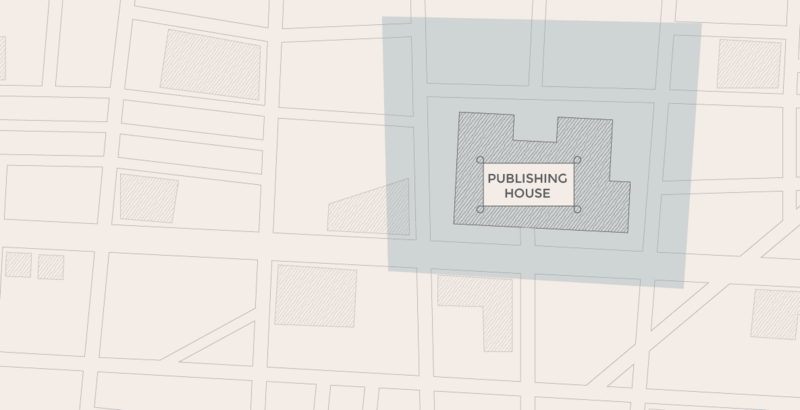 We’ve pieced together the story of publishing in Iran since the 1979 Iranian Revolution, and uncovered loads of really interesting trends that can tell us about the past and future of publishing in Iran. Kings and clerics have feared the written word for centuries, and have always sought to control it to preserve their power and advance their interests. ...and Baha’i writings were burned en masse when the religious movement exploded onto the scene in the 19th century. But these instances of literary control were all pretty crude, and were manifested primarily in the form of huge, raging bonfires. Modern censorship is a far more sophisticated and nuanced affair, and for all it lacks in book burnings, it more than makes up for with suffocating layers of insidious bureaucracy. The modern story of literary censorship begins with the rise of Reza Shah and the Pahlavi dynasty. In 1923 Reza Khan overthrew the decrepit Qajar dynasty, and began the work of building a modern state. One of Reza Shah’s first acts as monarch was to transfer the powers of the Ministry of Education’s censorship office to the National Police. Then, a series of parliamentary acts in 1932 expanded the censorship office’s powers, and mandated that all printed pages should bear the insignia of the censor’s office. His son and successor Mohammad Reza Shah ramped up state control even further. In 1941 the ‘Office of Book Writing’ was established under the Ministry of Culture. This office was responsible for screening all books prior to publication. It judged around 20,000 titles over its lifetime, rejecting over 2,000 of them outright, and suggesting amendments to around 5,000 more. Although the Office of Book Writing was responsible for pre-publication censorship right up until the 1979 Revolution, it wasn’t the only kid on the block. The Shah’s intelligence agency SAVAK also kept an eye on writers (especially communists), and locked up a number of high-profile authors. Then came the 1979 Islamic Revolution. Right after the Revolution, the old SAVAK offices were gutted and the ‘Office of Book Writing’ was dissolved. For a little while. Ayatollah Ali Khamenei was elected as President in 1981. In his inaugural address, he vowed to eradicate “deviation, liberalism, and American-influenced leftists”. The same year, the newly-formed Ministry of Culture and Islamic Guidance was granted sweeping powers to censor books that it deemed to be in violation of Islamic principles. Censorship was back, and in a big way. 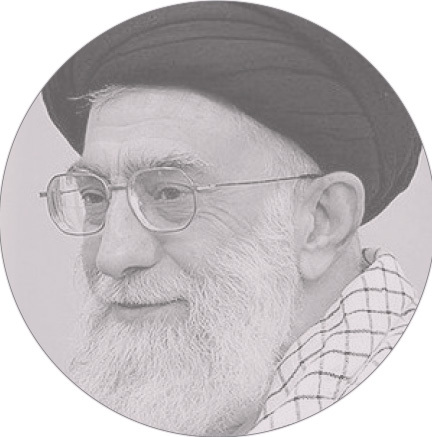 A key figure in the Revolution, Khamenei became President shortly after the Islamic Republic was founded. Currently serving as Supreme Leader, his tenure as President spanned the years of the Iran-Iraq war. He shared executive power with Prime Minister Mir Hossein Mousavi. 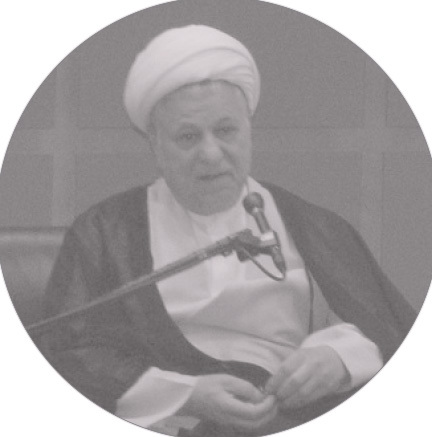 Known as a pragmatic conservative, Rafsanjani took office in the wake of the Iran-Iraq war. He presided over a series of economic reforms aimed primarily at liberalising and privatising the Iranian economy. A former culture minister under both Khamenei and Rafsanjani, Khatami’s presidential administration ushered in a period of relative cultural freedom in the Islamic Republic. 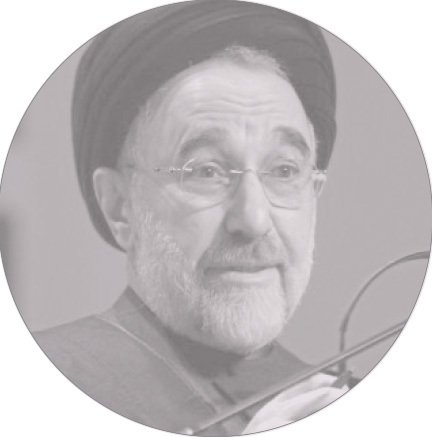 An avowed reformist, Khatami promoted freedom of expression, civil society, and rapprochement with the West. 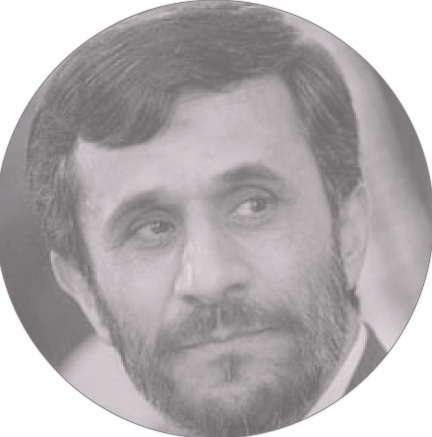 Ahmadinejad won the presidential election in 2005 with a mix of religious nationalism and outreach to the working classes. A bombastic and confrontational figure, Ahmadinejad was criticised for his handling of the economy, and for overseeing a crackdown on freedom of expression and assembly. We’ve seen how many books have been published in Iran since 1979, and which presidential terms saw the greatest booms and busts, but what sorts of books did they actually put out? We’ve broken the data down by genre in order to see how the nature of the publishing industry has changed since the Revolution. Are more religious books being produced now than ever before? What kind of literature is being printed? Are books about Iranian history being pumped out in huge numbers? 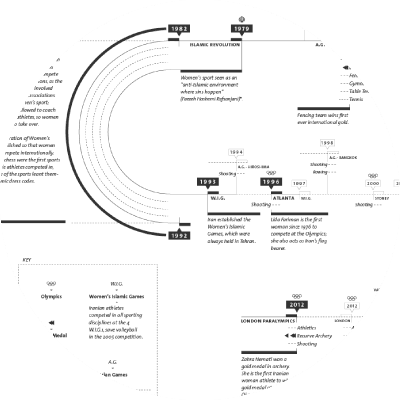 Explore our visualisation for yourself—there are countless stories to be told. The changing political situation has also had an effect on the variance in the types of books published during each administration. This visualisation shows which genres were printed the most, and in what quantities. One thing hasn’t changed so much—the continued dominance of religious books. But what sort of religious books are in there? Click ‘Religion’ to drill down into just the religious books. Not a lot of Christian books, that’s for sure. The biggest concentration of books is in the ‘Other Religions’ section—you can blame the Dewey Decimal System for lumping non-Christians together. Click ‘Other Religions’ to dig deeper. Ah, yes. ‘Islam and related faiths’. We can be fairly sure that the source of this ‘heat spot’ is Islamic literature. Perhaps no great surprise, considering Iran is 97% Shi’a. Okay, let’s look at literature instead. Click ‘Literature’ in the left-hand column to look closer at fiction in Iran. Persian-language literature is dominant—not shocking, perhaps, but take a look at the position of English-language books since the Revolution. Fewer than 500 were printed per year until the Khatami era; by 2005 this figure more than tripled to over 1500, suggesting that the Khatami era was a booming time for foreign and domestic publishers. Click on ‘Iranian and Farsi Literature’ to see more. Looking at just the Persian-language literature, some subtle, but nonetheless quite surprising trends become apparent. Poetry and prose are the big hitters in this category—Persian poetry has sat at the core of Iranian national identity for many centuries, while modern Persian prose flourished much later, in the early 1900s. Interestingly, the scales appear to be tipping back in favour of poetry—it is growing as a proportion of all Persian-language literature produced, while novels appear to be slowly backsliding. We’ve just seen that English-language literature is becoming more common in Iran, but how does that match up with the languages that people are learning? Click ‘Language’ to explore the index of language and linguistics books to find out. After the Revolution, European languages were viewed with suspicion by the state. As the tongue of not one, but two imperialist oppressors, English teaching suffered in the period following the Revolution. But we can see that in the mid-1990s there was an explosion in the publication of books about the English language. There’s a reversed trend in the ‘Other Languages’ chunk of our catalogue, which includes Arabic. Although the Islamic government initially provided support for the Arabic language, it has been gradually sidelined since the Iran-Iraq War. Ultimately, it seems the practical economic and cultural benefits of the global lingua franca trump the ideological allure of Arabic. There are lots of other stories to see in this data set. Click on the categories and play around with the data a bit. See if you can answer the following questions before moving on. How have Persian-language works of satire fared since the Revolution? What about left-wing literature? How did the books of Karl Marx & co. fare during the war against the secular ‘socialist’ Iraqi state? Under which president were the most books about music published? Is it who you expected? In the Islamic Republic of Iran, not all authors are created equal. Being the ‘wrong’ sort of writer can make all the difference between getting your book published, and having your 450-page manuscript sitting at the bottom of an MCIG waste paper bin. 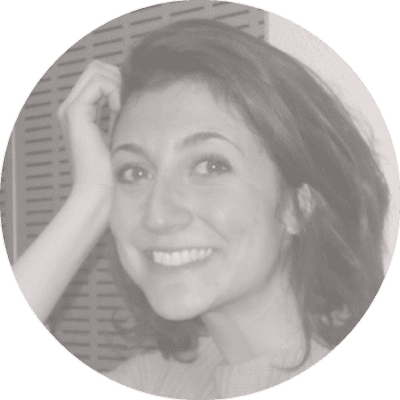 This next chapter looks at the sorts of writers who tend to have trouble getting published in the Islamic Republic today, whether they’re ethnic minorities writing in the wrong language, or women lingering on ‘immodest’ topics in their work. 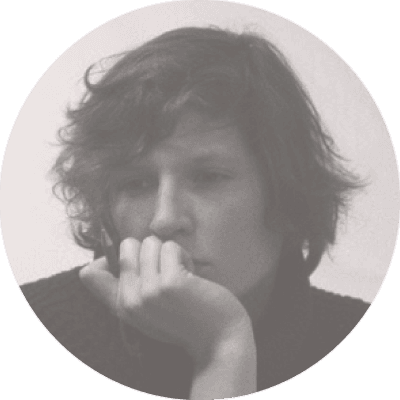 What about the position of women in publishing? How have female authors fared since 1979? And how has their output differed from that of male writers? Women are most prolific in the sphere of literature—it is in this field that they comprise the greatest proportion of active authors. Men, on the other hand, produce religious texts in the greatest numbers, owing to the historically male-dominated nature of religious education and instruction. Interestingly though, women appear to be gaining ground—books on the subject of ‘Islam and related faiths’ have actually increased in prominence amongst female writers since 1979 as the opportunities available to them in the religious sector have grown. The proportion of women that have published works in the fields of technology and natural sciences is pretty similar to that of men. This shouldn’t come as too much of a surprise: around 70% of Iran’s engineering students are women, and female representation in the sciences in Iran is excellent. Whereas women have made tangible gains in publishing since the Revolution, the same cannot really be said for Iran’s linguistic minority communities. Iran is a land rich in cultural and linguistic diversity. Although Persian is Iran’s official language, and is spoken by a majority of the population, a vast number of minority languages and dialects are scattered across the Iranian Plateau. In theory, the Constitution officially recognises the existence of minority languages, and grants them a number of specific rights. The official language and script of Iran, the lingua franca of its people, is Persian. Official documents, correspondence, and texts, as well as textbooks, must be in this language and script. However, the use of regional and tribal languages in the press and mass media, as well as for teaching of their literature in schools, is allowed in addition to Persian. All people of Iran, whatever the ethnic group or tribe to which they belong, enjoy equal rights; and colour, race, language, and the like, do not bestow any privilege. But in reality, these guarantees ring hollow. Up to 10 million Azeri Turkish-speakers live in Iran’s East and West Azerbaijan provinces, but there has been no official Azeri-language instruction in Iranian Azerbaijani schools for more than 90 years. Kurdish—spoken by around 8 million people in Iranian Kurdistan, Kermanshah, and West Azerbaijan provinces—is excluded from school curriculums, and is only officially available for study at university level. It could be worse. Baluchi, the language of around 2 million (largely Sunni) Iranians in Sistan and Baluchestan province is entirely unrecognised—even at university level. These entrenched inequalities in Iranian society manifest themselves in the publishing industry, too. Plenty of authors have trouble getting their works into the National Library if they’re written in the ‘wrong’ language. On the map below we’ve highlighted the major linguistic groups of Iran. Mouse over each of them to show the size of each community, and to find out just how many titles have been printed in each language since the Revolution. You might have noticed that one minority language fared better than all the others: Arabic. As the language of the Qur’an, Arabic has a privileged position in Iran. The special position of the Arabic language is even enshrined in the Iranian constitution. Since the language of the Qur'an and Islamic texts and teachings is Arabic, and since Persian literature is thoroughly permeated by this language, it must be taught after elementary level, in all classes of secondary school and in all areas of study. The books printed in Arabic are largely religious in nature—they include Qur’ans, hadiths, and philosophical texts. Once these are accounted for, the number of educational texts and works of literature written in Arabic remain disproportionately low when compared with the size of the community. Click the toggle to see the difference. So why do Iran’s minority communities have so much trouble getting published? Officially, the Islamic Republic says it respects all languages and ethnic groups, but Persian chauvinism is deeply ingrained in the Iranian publishing system, nonetheless. Speaking at the United Nations in 2014, the Iranian Azerbaijani publisher Sharife Jafari describes the particular hardships she faced as her publishing house Pinar attempted to publish Azeri Turkish-language works during a period of ethnic unrest under Ahmadinejad. “We were a dim ray of hope for Turkish writers in Zanjan province. We prepared books [for publication] with hardly any resources, and released a couple of Turkish poetry collections. At the same time, the newspaper ‘Iran’ published an offensive cartoon about Turks, leading to massive protests in Tehran and Turkish-speaking, with Zanjan amongst them. Ms. Jafari went on to outline nine significant issues faced by Turkish-language publishers, all of which worked together to cripple the minority publishing sector under Ahmadinejad. Ali Asghar Ramezanpour—Deputy Cultural Minister during the Khatami period—argues that things were not always this way. In January 2015 Ali Younesi, the Minister for Ethnic and Religious Minorities, declared that the government is working to support the teaching of minority languages in schools using minority language textbooks. On 15 April 2015 it was confirmed that Kurdish teachers in the city of Saghez had started to teach Kurdish literature in schools using Ministry of Education-approved Kurdish-language textbooks, suggesting that Kurdish-language publishing is on the rise once again. These are hopeful indicators, but whether or not they help to reverse the chronic under-representation of Kurdish-language books in Iran is a question that will have to wait until more Rouhani-era data is in the public domain. Iran’s publishing sector isn’t just subject to the whims of the MCIG’s censors. It’s also deeply affected by another arbitrary and destructive force—the economy. The Iranian state uses the economy to help and hinder Iranian publishers, whether through providing direct subsidies, or indirectly subsidising organisations by purchasing hundreds (or even thousands) of books from publishers in order to keep them afloat. This chapter shows just how overcentralised Iranian publishing has become, and discusses the difficulties facing writers and publishing houses outside the capital. Download our full report to learn about the impact of economic crises on the publishing sector, and to see how the Iranian government has intervened in the industry to advance its own interests. If you are not a Tehrani publisher, there are certain things you can’t do. It’s an essential issue. Even if you are based in Karaj—which is technically part of Tehran—you don’t enjoy the same benefits as Tehran’s publishers. The majority of the industry is rooted in Tehran, and other cities can’t survive without depending on them. Around 64% of registered publishing companies are based in Tehran, and 76% of titles printed since the Revolution have been produced there. This massive centralisation of production wouldn’t be such a big deal if Iran had an effective distribution network to carry regionally-published books to the rest of the country, but the necessary infrastructure is concentrated almost exclusively in the capital. They’re all supported from Tehran. Shiraz has good publishers, but there are fewer of them than there are fingers on my right hand, so they send their books to Tehran to get them distributed nationally. This transportation is expensive—sometimes they spend ¼ of a book’s cost on shipping! Getting books out of the capital is complicated by the lack of regional distribution centres. Only 11 of Iran’s 31 provinces are host to distribution centres at all, meaning that publishers and consumers are forced to rely on out-of-province distributors in order to disseminate and access newly-printed books. Many authors have said that properly distributing books is more important than getting them printed. After all, if a writer or a translator can’t share thier book with everyone they needs to, and the publisher can’t have access to an efficient network of distribution, then you may as well just give up and not bother publishing it in the first place. 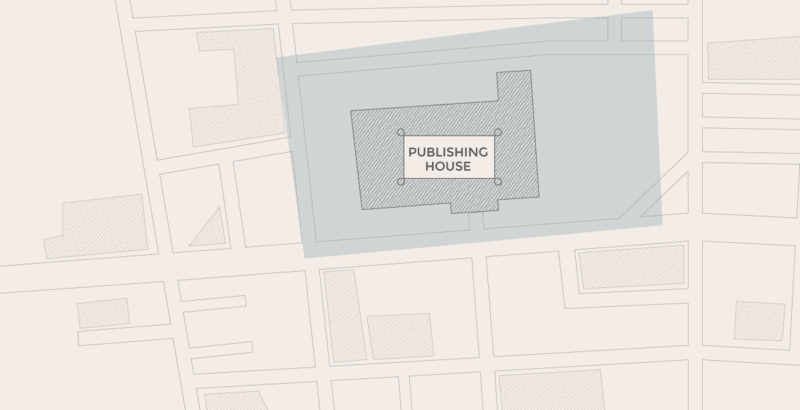 Explore these datasets to see where the publishing industry is active. Hassan Rouhani was elected in 2013 on the promise that he would allow Iran’s cultural scene the space to flourish, free from the worst excesses of censorship that defined his predecessor’s administration. Despite some progress, Rouhani’s government appears unwilling to dismantle the censorship system, which continues to enforce the state’s ‘red lines’ despite some limited relaxation around social issues. The problems facing Iran’s publishing sector are immense. Truly radical solutions are required—solutions that Rouhani’s government has so far proven unwilling to implement. We hope that publishers, writers, and innovators in Iran and around the world can work together to produce the radical and transformative solutions that are needed to kickstart a new golden age for Iranian literature. To read our recommendations, download our full report! Our data is taken from ketab.ir — Iran’s Book House. The non-profit, non-governmental organisation was founded in 1993 with the objective of building and maintaining a comprehensive database of books published in Iran. Iran Book House’s online database was established in 1998, and claims to be updated with new publication data within two days of a book’s release. This data is not without its limitations. Before 1999, our statistics were collected using several different resources, including a variety of independent studies, so we need to be cautious with statistics before this period. We only have general information from before 1999. 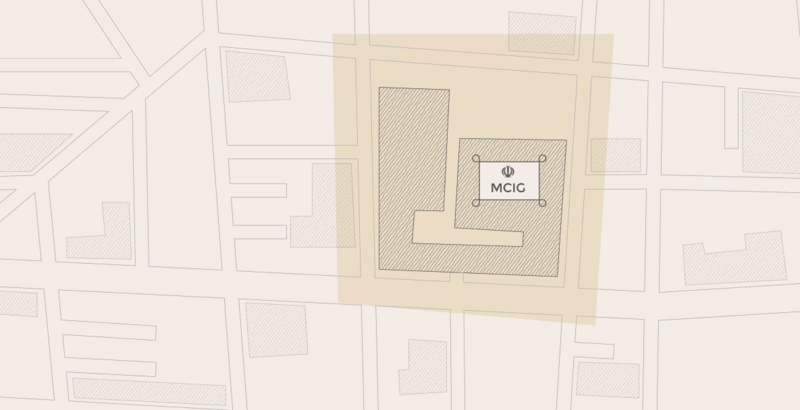 The Book House was used by MCIG as a resource on the base of which it stated how to distribute paper and other facilities to support Iranian publishers. For this reason, some data might have been blown up out of of proportion, invalidating the database. For example, a publisher that published 1000 copies might say he published 3000 books in order to promote his work and get more financial support from the MCIG. The condition for renewing your publishing license is to publish at least 4 titles a year. We have many publishers in Iran but only 5% of them are active. When others want to renew their license, they fake a book by copying and pasting content together, then go to the National Library and print 10-20 copies digitally. But when they’re registered with the Ministry, the print run is submitted as 1000. 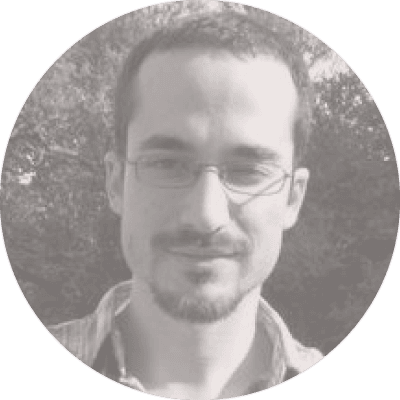 All of the data used for this project is publicly available on ketab.ir. We just had to hoover it up. Which is what we essentially did, through a process of ‘data scraping.’ This is where we ran an automated program to vacuum up all the information about the books and publishers that’s listed on the Book House website. This data all got sucked into our own database, and from there we cleaned it up, and organised it. We undertook a lot of scrapes, but we couldn’t catch everything. Scraping isn’t an exact science, and sometimes data gets missed out. Nonetheless, we kept running the scraping program until we’d gathered at least 80% of the data for each year, as recorded on the Book House website. Once we hit this number, we felt that we could be confident that our data would accurately reflect the trends in publishing that have taken place since 1979. Then we had to do some manual work. The database didn’t give us everything we wanted: it doesn’t list authors’ genders, for instance. But it did list their first names. Thus began the lengthy process of manually coding the unique first names in our database. We couldn’t code all of them (we’d still be sat doing it now if we tried), but we did assign genders to all the names that appeared more than more than 150 times times, which gave us plenty of data that’d allow us to look at the gender politics of the Iranian publishing sector. Some of the information we wanted was in the database, but obscured. Information about genre is a good example—our scrape gathered the Dewey Decimal codes for all the books in the database, so we had to match these up with full topic descriptions in order to make use of them. The Iranian classification system also makes use of a number of special classifications, which we found on the website of the Online Computer Library Center. Once we’d integrated this information into our database, we could undertake some proper analysis of the genres published in post-Revolutionary Iran. We had a lot of data. Over 800,000 entries. That’s far too much than is sensible to plug into a spreadsheet program—so we didn’t. 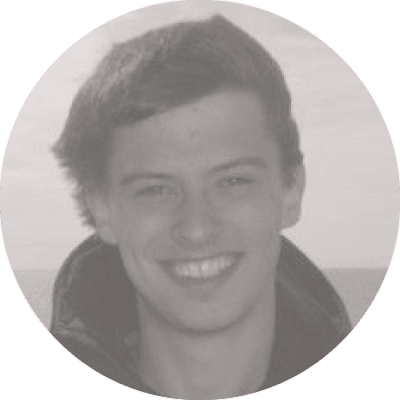 Instead, all the data was thrown into a database, and our developers built a nifty tool that would help us run queries about the data. 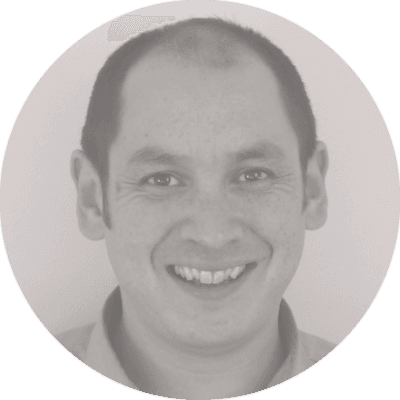 As a result, we were able to pull plenty of visualisations out of the data instantly, freeing us from the ordeal of having to chart massive data sets on clunky, built-in spreadsheet charting tools. This made it much easier to gain insights into the data at a glance, and sped up our research process immensely. We have a good deal of expertise in the field of censorship in Iran, and of literary censorship in particular. Our 2012 report Cultural Censorship in Iran: Iranian Culture in a State of Emergency tracked the health of a number of cultural sectors in the dark days of Ahmadinejad’s second term, and found a number of systemic problems in the publishing sector that we wanted to revisit. Building on this knowledge base by conducting a comprehensive review of secondary literature, and engaging in conversations with experts in the field, we write around 30 research statements that we thought would be worth investigating through the Book House data. Once we had our hypotheses, we were able to test them by pulling in data from our custom-built analysis tool. Once our various hypotheses were either proven or disproven, we could begin to arrange our findings into thematic groups, and then into a cohesive and logical narrative which would serve as the core of this online report. With a narrative in place, our in-house team of information designers and developers sat down and plotted out some ways to bring this story to life. The design of this site was inspired by the textures and patterns prevalent in illustrated Persian Manuscripts which. These were then combined with modern typefaces and colours to create an amalgamation of vintage and contemporary Persian aesthetics. Because of the physicality of the subject matter, we wanted to draw on aspects of a printed book and the materials used in the process of creating a book. We’ve used fine concentric circles inspired by the growth of a tree through its natural timeline and a cream background that was colour-picked from aged paper. We wanted to use soft yet vibrant colours that give the illusion of faded ink as well as gold foil for highlighted interactions throughout. The data-driven research also heavily inspired the visual content of the website. When it came to information design, we were careful to maintain the integrity of the data while still implementing the visual style consistently. The design for this project is unlike anything Small Media has done before, and provided a unique opportunity for us to experiment and stray from our usual design aesthetic. Since the initial iterations were inspired heavily by print design, we had to be conscious of how to translate these elements into a smooth and intuitive website. 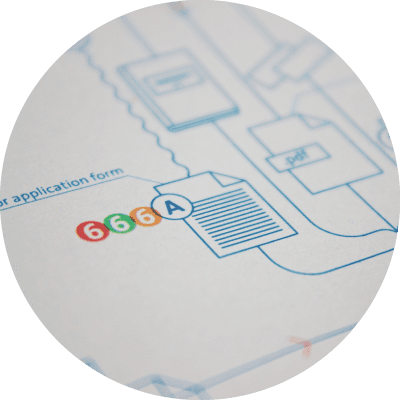 This gave us an opportunity to work closely with the development team in order to ensure that our print-inspired design could make the transition easily and successfully into a user-friendly website. Want to see more of our work? 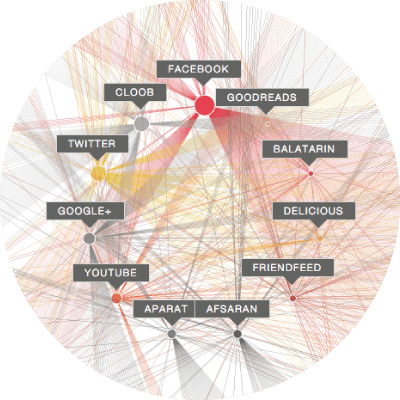 Small Media has produced a wide range of research on Iran's digital landscape. Check it out below. The Islamic Republic is home to sizable religious minority communities, including Zoroastrians, Jews, Baha’is, and Evangelical Christians. 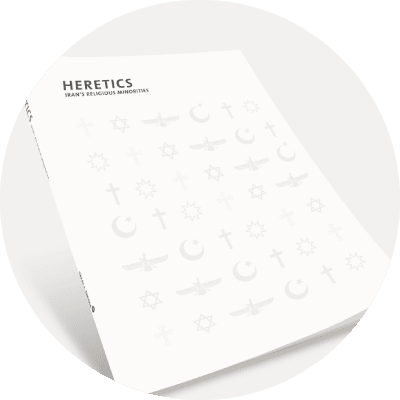 This report looks at how these groups use the internet to practice their faith, avoid persecution, and explore their collective identities online. Iran’s media environment suffers because of censorship and international sanctions, yet benefits from a young, educated, and tech savvy population. Revolution Decoded explores this complex reality to present a detailed picture of Iran’s contemporary digital landscape. Viewed as enemies of the State since 1979, Iran’s Baha’is suffer many forms of severe repression, including expulsion from public universities. 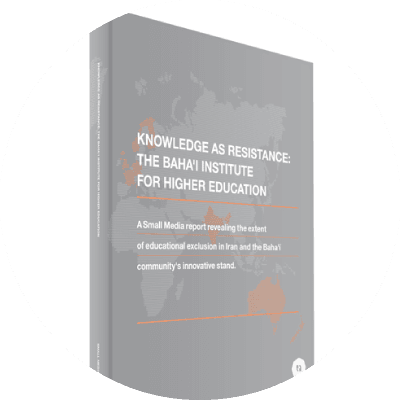 This report follows the struggle of the Baha’i Institute of Higher Education, an innovative online-rooted institution that offers the Baha’i community the prospect of learning without the fear of persecution. Lesbian, gay, bisexual and transgender Iranians face many challenges, from discrimination and social exclusion to persecution and state-sanctioned homophobia. 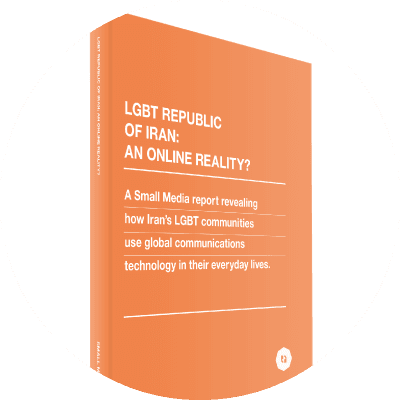 As increasing numbers of sexual minorities seek refuge online, this report examines whether the internet is a safe haven or honeytrap for Iran’s LGBT communities. Extensive use of the internet in Iran is often associated with the young and reform-minded, but conservatives are also well represented in the Iranian blogosphere. Unmasking the Arzeshi explores the online habits of a community of conservative bloggers. The Islamic Republic prohibits women from attending football and volleyball matches. But do these restrictions affect women’s ability to engage in athletic events themselves? Off the Beaten Track looks at the world of women’s sport in Iran to examine the opportunities and obstacles female athletes face. The UN periodically engages in a process called the Universal Periodic Review (UPR), allowing member states to make recommendations to each other about improving their respective human rights situations. 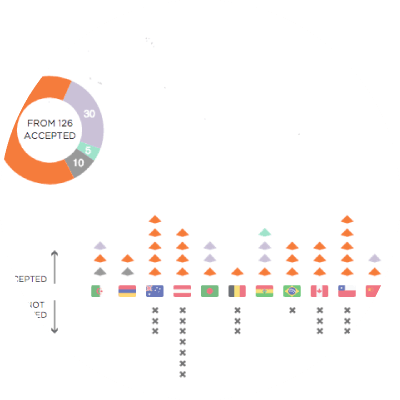 Our visualisation-led website illustrates the recommendations made to Iran at the previous UPR, and demonstrates Iran’s mixed record in achieving them. Writer's Block was only possible thanks to the hard work of our incredible team of developers, designers, and researchers. Here they are, in all their glory. Director of Research and Innovation at Small Media; always accompanied by partner-in-crime (and Labradoodle) Juni. Research Manager at Small Media; sustained by new book smell and animal .gifs. Cultural Journalist and Media Researcher; glucose and censorship intolerant. Researcher at Small Media; always sketching something on any piece of paper she can find. 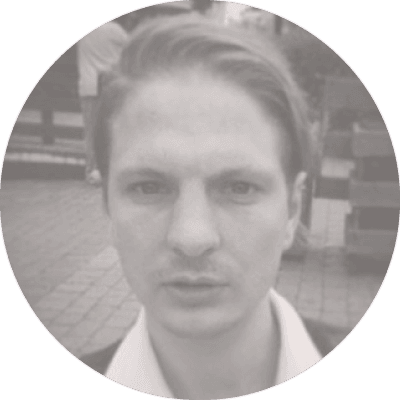 Researcher at Small Media; enjoys cartoons and non-fiction books. 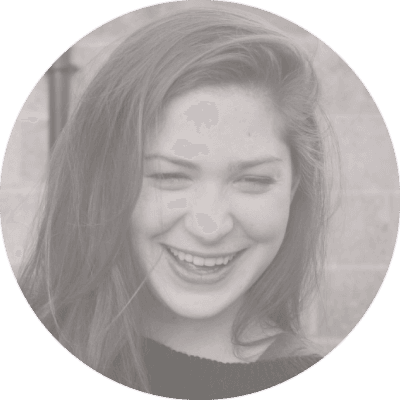 Graphic and Information Designer at Small Media; a collector of maps with a penchant for Kale. Creative Manager at Small Media; likes fizzy drinks and vinyl bargain bins. Frontend Developer at Small Media; with a small infatuation with his lawn. 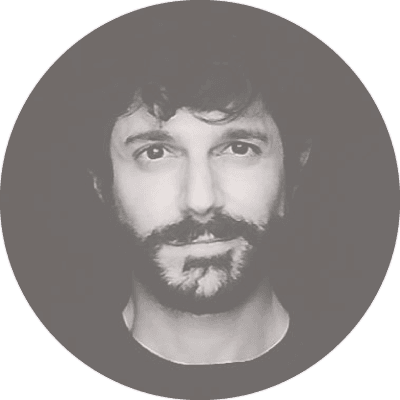 Web Development Manager & UX Design Lead; passionate about human-centered design, typography, photography, jazz and Andalusian Gazpacho. 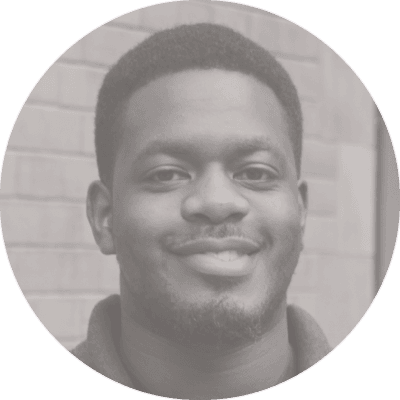 Development consultant specializing in Internet and web technologies; eats, sleeps and breathes code. 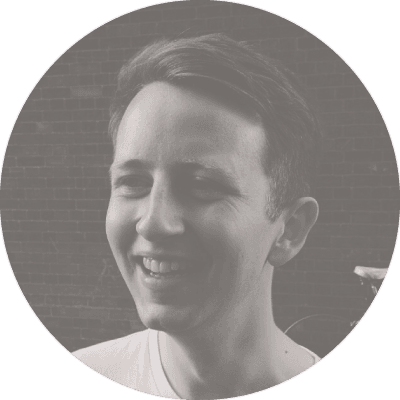 Freelance full-stack web developer; has a particular interest in data visualisation.